Mechanical Dynamics and Analysis inspected and repaired a 20 MW industrial rotor. The unit was a 15 stage single condensing design. MD&A’s experts successfully designed and modified the N-1 packing area, and removed the stage 3 and 4 wheels. Power plant owners face a major challenge of keeping aging turbines up and running — efficiently and cost-effectively. MD&A is uniquely prepared to meet this challenge. We have the experience and expertise to solve your plant’s problems. A failure of the N-1 retractable packing assembly ground a groove in the rotor shaft at the hi-low packing diameter. Also, during a restart, the rotor ramp rates were violated, causing the shrunk on wheels to shift. The rotor was received at MD&A’s Turbine-Generator Repair Facility in St. Louis with severe damage to the stage 3 and 4 wheels and the N-1 packing area. Thermodynamic evaluation of operating without the 3rd and 4th stage wheels. Destructive machining removal of the 3rd & 4th stage wheels. Metal spray buildup of the outboard thrust collar shaft fit area to restore the shrink fit. A sleeve repair to the N-1 packing area. Straightening, benching back, and polishing the stage 9 leading edge airfoils. Replacement of Qty (4) lifted shroud covers on stage 9 by tenon weld restoration. A brazing repair of blade tie wires. Supply and installation of new packing segments in the N-1 packing box. Reassembly and final inspections of the rotor. High speed balance of the rotor. 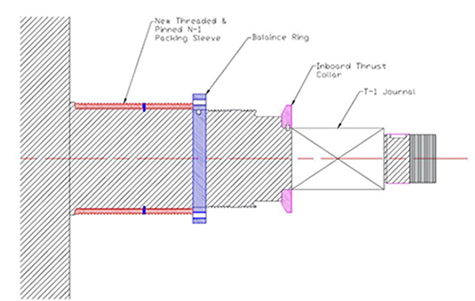 MD&A provided a sleeve modification option to repair the damaged N-1 shaft packing area. The sleeve modification repair included machining of the rotor shaft end to remove the damaged N-1 hi-lo teeth, machining of the shaft to allow for installation of a new threaded-on sleeve, and final machining of the N-1 hi-lo teeth back to original position and diameter. After the N-1 machining modification was complete, the turbine end shaft end components were reassembled. Once assembled, final axial dimensional checks and runouts were performed. The customer’s primary concern was returning the unit back to service in the most expedited manner, and MD&A fulfilled their needs. 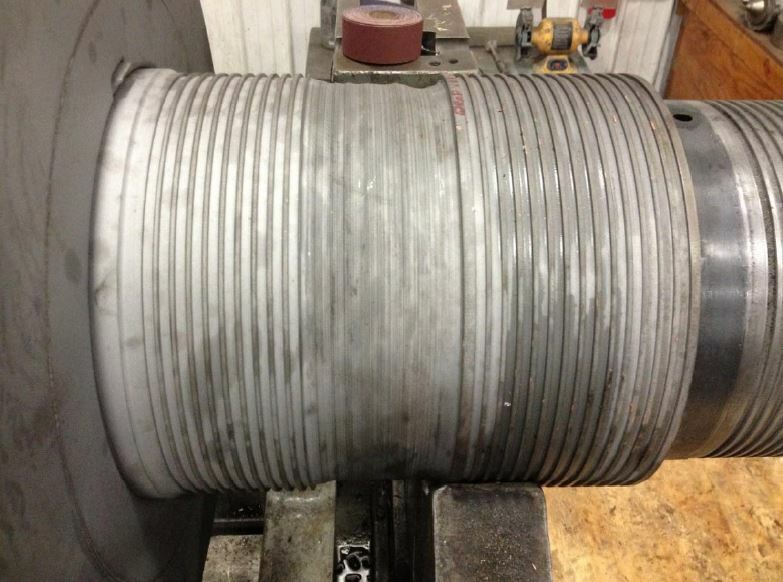 Because of our vast knowledge with many years in the industry and with different types of OEMs (Original Equipment Manufacturers), MD&A experts are capable of performing any steam turbine rotor repairs. We are your full-service turbine-generator service provider. No matter what the problem, MD&A’s experts have the solution! 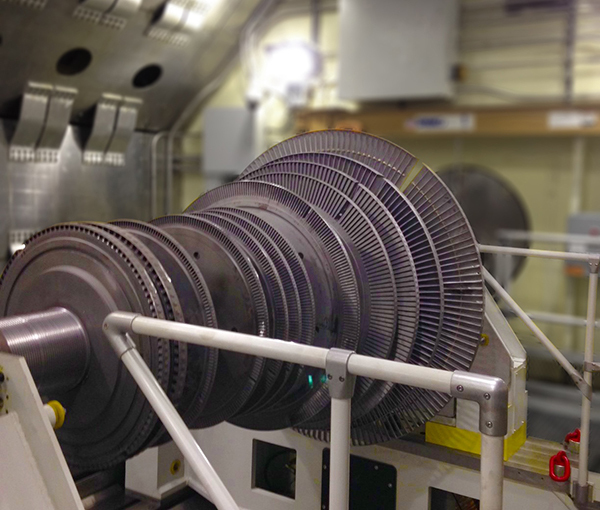 Have MD&A look at your turbine rotor today, call our Turbine-Generator Repair Facility at (314) 880-3000 or use our Contact form.